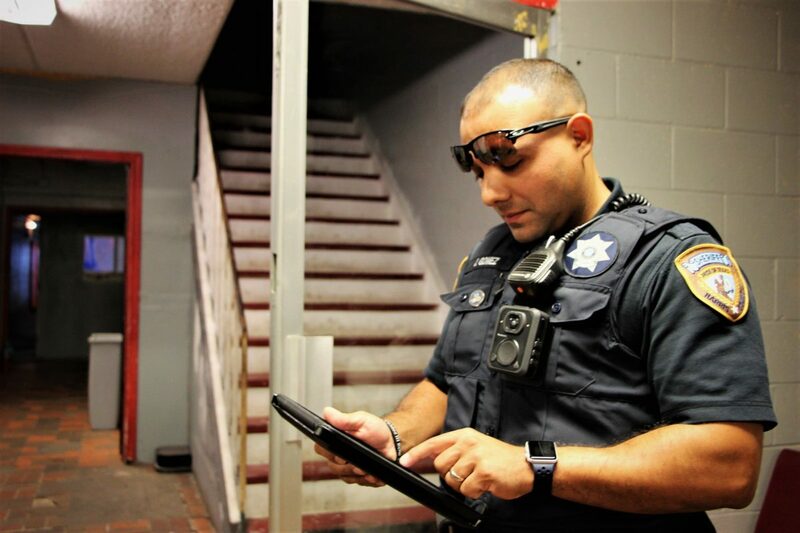 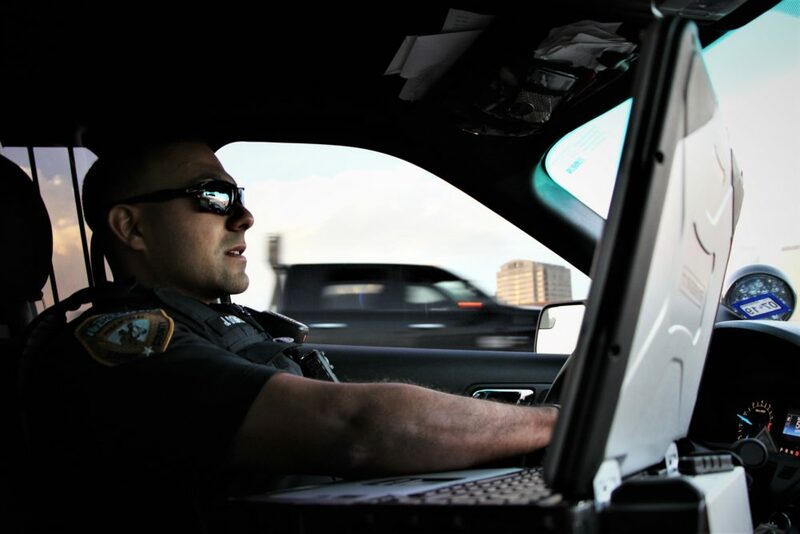 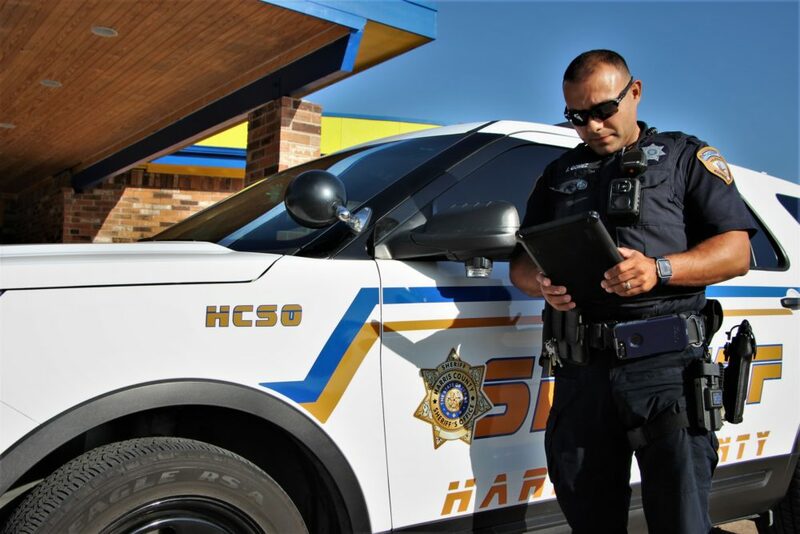 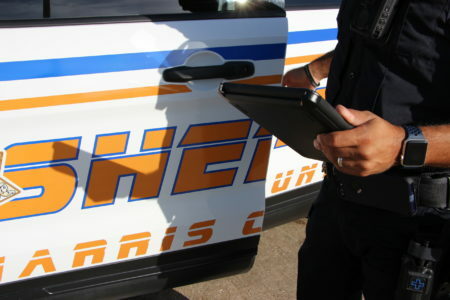 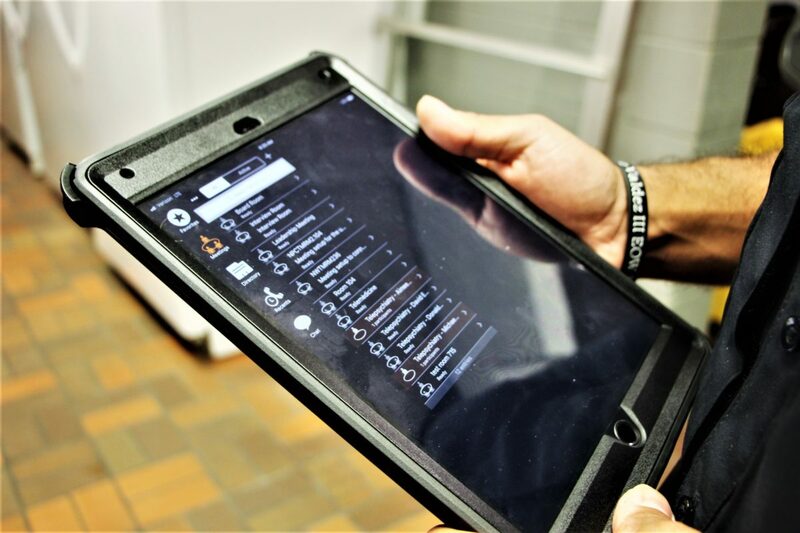 Harris County Sheriff’s Deputy Jose Gomez, 31, brings out his iPad for the new Telepsychiatry pilot program. 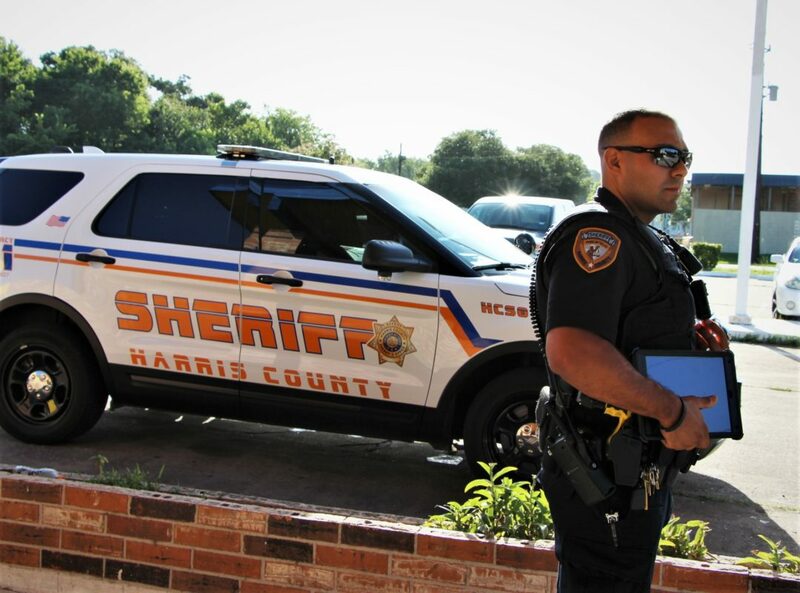 Deputy Gomez responds to a call, as part of the Crisis Intervention Response Team, on July 13, 2018. 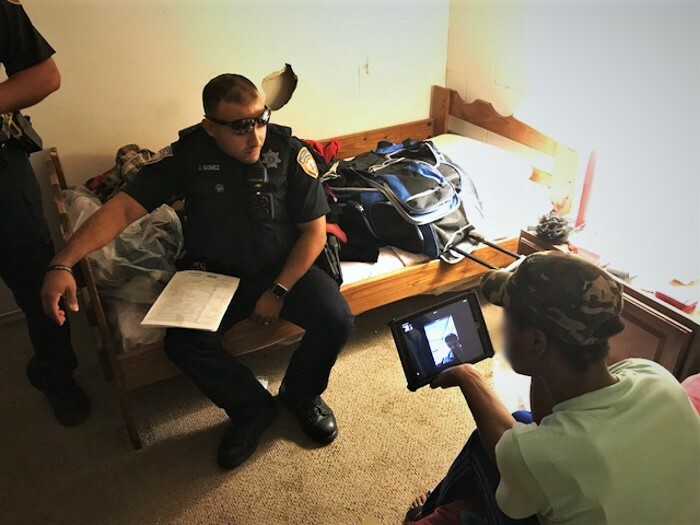 Deputy Gomez gives an iPad to a woman for assessment on July 13, 2018. 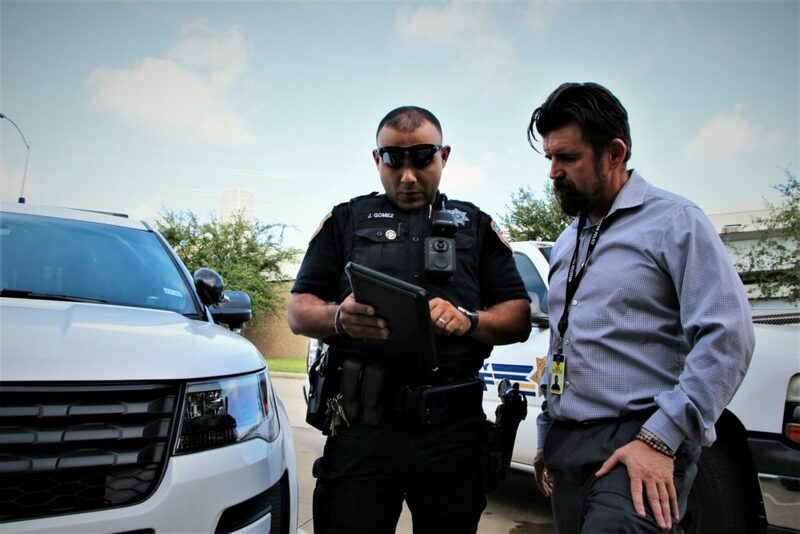 Deputy Jose Gomez and clinician Michael Hawkins reconnect after an in-field assessment using the iPad on July 13, 2018. 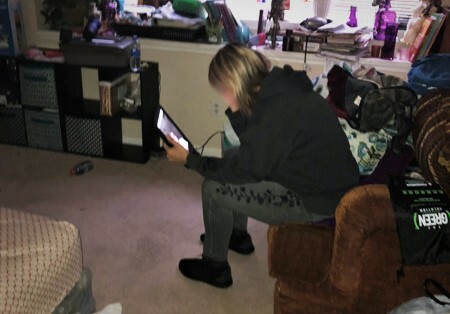 A concerned mother talks with a psychiatrist via an iPad about her teenage daughter, during Phase I of the HCSO Telepsychiatry pilot program.